In his latest salvo intended to end the immigration stalemate, President Trump has threatened to close the U.S./Mexico border completely, threatening to severely curtail or completely cease the estimated $1.7B worth of daily trade between the two nations. A dramatic action of this sort could trigger a variety of outcomes, from a drastic shortage of avocados to outright economic calamity. For shippers that rely on the free flow of cross-border commerce, being prepared for any possible scenario is not simply prudent- it could be the difference between the success or demise of their business. Through our Monterrey, Mexico office, we have gained unique insights into the current state of cross-border shipping. Due to a shift of 750 Customs and Border Patrol officers and resources to other parts of the border, we are already seeing lengthy delays at border crossing points, particularly in El Paso, Laredo, Nogales, San Ysidro and Otay Mesa. Wait times from Ciudad Juarez, Chihuahua into El Paso have exceeded 10 hours, and have led to lines of waiting trucks as long as 10 miles. These delays impact the #1 mode of cross-border shipping- over-the-road transportation. To put the volume in perspective, Laredo alone sees over 16,000 daily truck crossing and represents almost 50% of the total volume. Transportation delays are more than simply frustrating- they are costly to shippers in that they can result in noncompliance fines for late deliveries, and they deplete the available Hours of Service for carriers, resulting in a decrease in their productivity. How can shippers mitigate the effects on their supply chain? According to David Henry, Regional Manager, Mexico for GlobalTranz, it is critical that shippers begin planning for any number of potential scenarios. “Shippers need to plan for the worst-case scenario: a closure of the border,” said Henry. “A border closure may halt not just truck shipments but rail shipments as well,” Henry continued. “Shippers that rely on cross-border transportation can take a page from the ocean and air importer’s playbook and should consider front-loading shipments of necessary goods and materials to prepare for a possible closure,” said Henry. 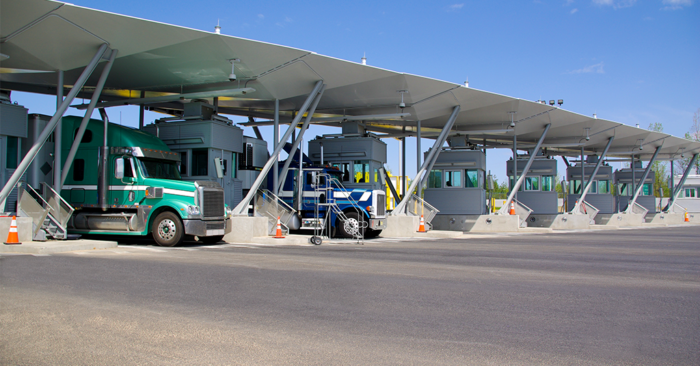 If a border closure does go into effect, shippers will also need to plan for continued disruptions when the border reopens. Shippers should assume that border crossings will remain slow and capacity will be constrained as a backlog of shipments slowly eases. “Communication is the key,” said Henry. Even though the border remains open, “shippers must work closely with their 3PLs and carriers to develop and implement contingency plans now. It’s better to have a plan and not need it than to need a plan and not have one.” To learn more, please contact mexico@globaltranz.com.